YEAR OF THE HIPPIE / "PULSES" ! I was very excited to be contacted by the USADPLC back in March to help them develop recipes based on dry peas, beans & legumes. I mean, what a treat! Apparently, each year the United Nations picks a topic of global interest, and they named 2016 the “Year of Pulses” - meaning beans, peas & legumes (who knew they were named pulses, right?). It’s officially going to be the year of hippie food! Obviously, I’ve always been a huge advocate of beans & legumes. For healthy eating, vegetarian cooking & low-cost meals, “pulses” are literally the best option out there. When I’m tired, exhausted & don’t want to feed myself (but need a homemade meal), I’ll very often turn to soccas or a quick batch of lentils over a salad. It’s the easiest way to feel well-fed, fast. Gearing up for 2016 (I can’t believe it’s already May), each country is called to submit one recipe to represent their country. The USA Dry Pea and Lentil Council reached out for me to develop a recipe to be in the running. Side note: If you love cooking with beans/legumes, their site is a great resource for recipes ( Lentil meatballs & chickpea quiche sound so good!). With your help, my recipe could be selected as the National Signature Pulse Recipe for the U.S.
All you have to do, is go to the USADPLC Facebook page & vote just by LIKING my photo. Simple as that. I'd love if you could help spread the word, help out this amazing non-profit and get a good, hippie pizza recipe selected Nationally. As always, thank you for your continued support! As for this pizza, it's the simplest crust option there is - no rising, waiting or yeast. It's super quick & something you could throw together for a lovely weeknight meal. Plus, pesto & pizza are a true match made in heaven. Heat oven to 450 degrees. In a large mixing bowl, whisk together chickpea flour, salt, pepper, celery seed, fennel fronds and parsley. Slowly whisk in lukewarm water, making sure to eliminate all lumps. Stir in 2 tablespoons of olive oil. Fold in garlic and lemon zest. Let mixture sit and thicken for about 15 minutes (or up to 12 hours). While socca thickens, make pesto: Bring a large pot of water to a boil. Blanch your nettles: add leaves to a boiling pot of water for 1-2 minutes. Remove with tongs or a slotted spoon, and add to an ice bath to cool. 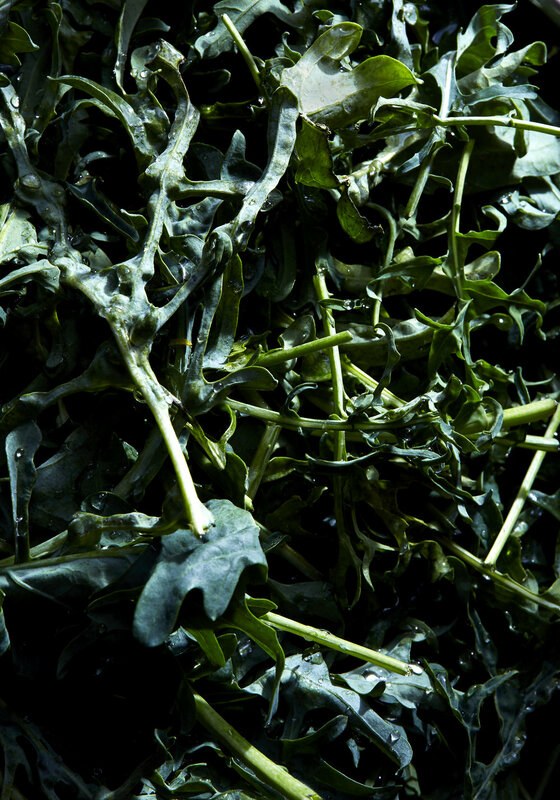 once greens are cool to the touch, strain and squeeze all water from the leaves. Roughly chop the blanched greens. Add to a food processor with garlic, pistachios, lemon juice and zest, parmigiano, salt and pepper. Pulse into a coarse paste. Then stream olive oil to desired consistency or about 1/3-1/2 cup. Set aside. Drizzle about 2 tablespoons of olive oil evenly into a cast iron (10-12 inches) or 9x11 baking dish to preheat for about 5-6 minutes (or until pan is very hot). Carefully remove hot pan and pour in batter evenly. Top with sea salt, fresh pepper and bake for 12-15 minutes or until edges are browned and firm. If socca appears dry while baking or after, drizzle more olive oil over top. Let cool for 15-20 minutes. Then. spread a thick layer of pesto over chickpea crust and dollop with burrata. Top with baby arugula, a sprinkling of pea shoots, flaky sea salt and freshly cracked pepper. Serve warm! Ever since I can remember, soccas have been one of my favorite go-to meals. Made almost entirely of chickpea flour, it's naturally gluten, grain and dairy-free, not to mention always "in season." It's somewhere between a delicious pan bread and pizza with a chickpea twist. For the colder months, it's nice to add some Wintry herbs like rosemary and thyme, but I also love adding a dose of sumac for it's lemony brightness. Especially on these grey months, I'm in need of a pick-me-up after too many brothy chicken soups. 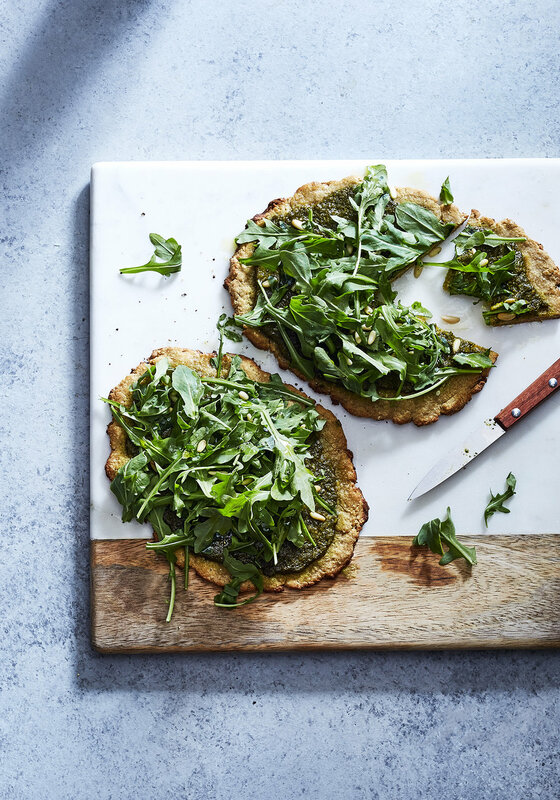 Top your socca with some lovely greens and you'll swear it's Spring. Heat oven to 450 degrees. In a large mixing bowl, whisk together chickpea flour. sumac, salt and pepper. Slowly whisk in lukewarm water, making sure to eliminate all lumps. Stir in 2 tablespoons of olive oil. Fold in onion, garlic, thyme and lemon juice + zest. Let mixture sit and thicken for about 15 minutes (or up to 12 hours). Mixture should be the consistency of heavy cream. Add skillet or cast iron to hot oven to preheat with 2 tablespoons of olive oil to coat (for about 10 mintues or until pan is very hot). Carefully remove hot pan and pour in batter evenly. Top with sea salt, fresh pepper and more thyme then bake for 12-15 minutes or until edges are browned and firm. If socca appears dry while baking or after, drizzle more olive oil over top. Let cool for 15-20 minutes. Add mixed greens to serving bowl and toss with pistachios, fennel and red onion. Set aside. In a small mason jar, mix together all dressing ingredients minus oil. Whisk in enough olive oil until dressing is desired thickness, then cover and shake well until dressing has emulsified. Drizzle over top salad before serving, crumble in feta and garnish with flaky sea salt and freshly cracked pepper. Serve atop socca slices & enjoy! This post was originally shot for H&M. It's that time of year again! 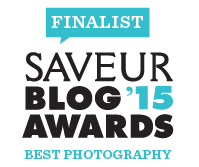 The SAVEUR Food Blog Awards Nominations have officially opened. Being nominated last year was such a surprise and an amazing experience overall. Please go support all the food blogs who spend hours creating beautiful, free content for their readers. If you would like to nominate Sassy Kitchen, I would be very very grateful! Thank you to all of my supporters.